My 1972 240z has stock disc brakes and rear drum brakes. Anyway, the other day i suddenly hit the brakes and even though the car did stop, it did not stopped as my 2012 Honda Crv. 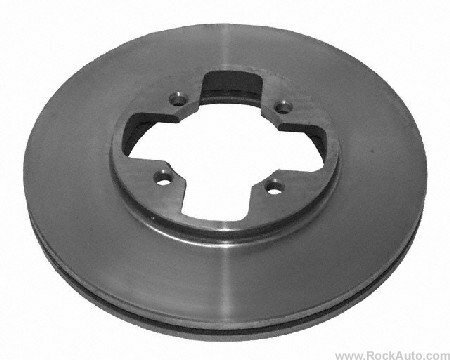 I want to obtain the same stopping power as modern cars such as my crv. Should i invest on 4 wilwood disc brake set (2 front and 2 rear) or should i simply purchase the rear disc brakes and calipers? I just want to invest my money wisely. When braking, weight shifts forward off the rear tires reducing traction. The fronts have the engine and this added weight shift which increases tire traction and resists lock up. Because of this all vehicles braking is biased much more to the fronts that do all the work. Rear disc will not stop you faster than drum brakes BUT they have fewer parts, almost zero maintenance and adjustment, the pads take minutes to replace and (under severe and repeated braking) are not subject to heat fade like drum brakes are. There is also the 'cool' factor. Is it worth it? It won't stop faster but it does have the advantages listed. Up grading the fronts to a larger caliper and vented rotors plus sticky tires will. I might add that I have found that disc brakes are easier to modulate and hold nearer to lock up than drums. Drum brakes tend to grab and hold. It might just be me. so in order to obtain a faster and better stopping, would you recommend changing to 4 disc brake and caliper. Any recommended Brand and kit?? There are 4-piston calipers that will bolt directly in place of the stock calipers up front, they're from early 80's Toyota trucks. I picked them up from my local Autozone for around $25 a piece remanufactured. There should be a forum post somewhere on the site that details the part number and swap instructions. You'll need to trim the dust shield a bit, but it's an easy swap. This plus good pads will help a great deal, just don't do like many others and remove the dust shield completely, as this will let your pads gum up from road grime. I have the rear disc conversion and I didn't notice too much of a difference between it and the drums. That being said, it's much easier and cheaper to maintain discs than it is drums. Asked and answered in depth. I've noticed that you ask a question and then don't read the answers and just keep on going. I've marked the passage in red. NO it won't help, and YES upgrade the front brakes. Just when you thought it was over.....so you jalex like to ask questions, in fairness let me ask a simple question, did you get your exhaust popping fixed, u posted 5 mos ago or are u now fixated on your brakes or do you get your kicks asking people here and other z sites about mundane questions that may not have an answer because u enjoy trolling? Get better tires. Nothing improves brakes more than sticky tires. Okay! Upgrade the front disc brakes to which kit and Brand?? You mentioned "fronts to larger caliper and vented rotors"!! But which Brand? I am looking for a bolt in kit. The exhaust popping was never solved. Lowered the fuel mixture or increasing it did not produced any effect. I also lowered the Timing to 11 btdc and increased to 15 btdc and the deceleration popping persists. When i bought the car PO had an MSA twice pipe system installed and it never popped. I guess the pipes dimension with this system are different and the material is Steel instead. Okay! Upgrade the front disc brakes to which kit and Brand?? Okay! Upgrade the front disc brakes to which kit and Brand? If you just want one straight forward answer, I'll give you this suggestion as I've done some research on it recently. calipers: WIDE Toyota calipers. Found on 1989-95 4wd pickup or 4/1989-91 4 Runner. They are marked S12W right on the caliper. They are the same as the earlier Toyota caliper but are wider to fit over a vented rotor as opposed to a more narrow solid rotor. rotors: 1984-85 300ZX non-turbo stock rotors. Internally vented, still 4-lug, slightly larger diameter and they fit within the Toyota calipers. A spacer is needed between the rotor and the hub to line the rotor up with the caliper correctly. This spacer is available from technotoytuning.com and is a different thickness for 240 and 280 hubs (260s as usual have 240 hubs in the early part of the year and 280 hubs in the latter part). This is a substantial upgrade from the solid rotor 4 piston caliper upgrade because the vented rotor can shed a lot more heat than the solid rotor. With that spacer, rotor, and caliper, this will be a bolt-on affair. Calipers: $30-50 pair used from wrecking yard plus cost of new seals and pads. $100-200 fully loaded and rebuilt from online parts retailer. 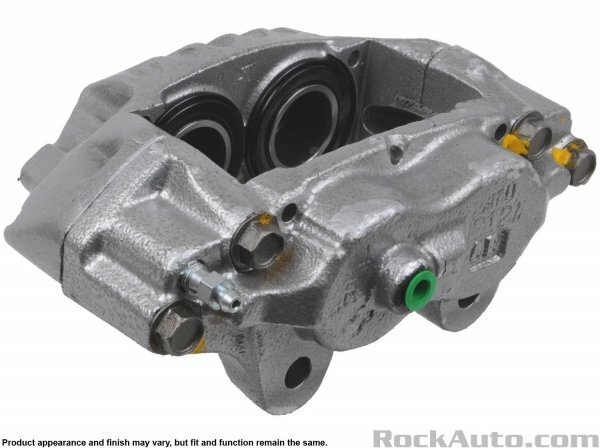 Try Rockauto.com if you don't know about them yet. Rotors: $90 a pair new. Some 14" wheels will fit. Almost all 15" or larger wheels fit fine over these.